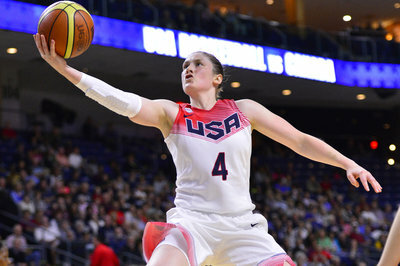 The 2014 FIBA World Championships for Women begin this morning with Team USA taking the floor for the first time this afternoon. The FIBA World Championships begin today at 7 a.m. EST when Canada faces Mozambique, as previewed yesterday by Aneela Syed. You can catch all of those games on ESPN3 and Team USA’s game on NBA TV as well. If you need to familiarize yourself with these players or need to keep up on the scores, FIBA’s site itself has all the basics including group-by-group previews. We’ll leave this thread up for the day and leave your thoughts on the games in the comments below. For more on the 2014 World Championships, check out our FIBA section.